If you aren’t familiar with the Ask Her More campaign, it’s a movement during Hollywood awards season that urges reporters to ask women about more than just their dresses and makeup. For the record, I am all for this—these women are capable of talking about a lot more than just fashion and their relationships. That’s where I got the idea for the name of this entry: Ask Them More. 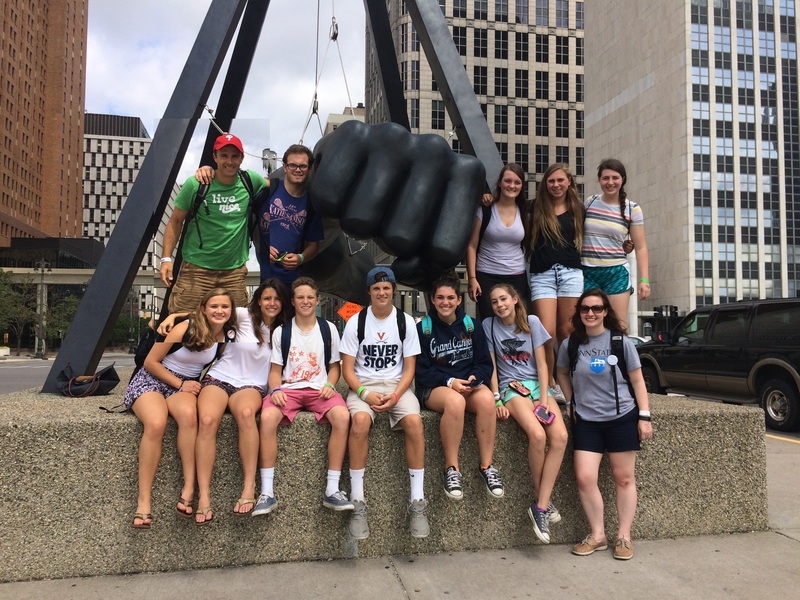 A group of twelve of us from St. Paul’s returned last week from the ELCA’s National Youth Gathering in Detroit. While I haven’t been asked too much about the fashion in Detroit (there was a lot of neon), there has been one very popular question: “Did you have fun?” I can imagine that the other members of my group are having similar experiences. Don’t get me wrong—I appreciate the question. At its heart, it’s an earnest desire on the part of the asker to hear about our experiences. And—surprise—we did have fun! We had a blast! St. Paul’s has an awesome group of young people, and we did a ton of fun things. There was singing and dancing, sports and painting, lip-syncs and selfies. We came up with mottos, watched cheese get lit on fire, and played a ton of card games together. We had a lot of fun! But when asked if we had fun, or its cousin the sarcastic “So you survived?” I always find myself giving a one or two word response. It’s not that I don’t want to talk about our experiences, I really do. It’s just that they were so much more than fun, and that’s hard to put into words sometimes. If our goal was to have fun, believe me, we could have done that with a lot less fundraising and planning. If we just wanted to have fun, we could have taken the youth to Dorney Park and called it a day. But we spent months getting ready, raising money, and learning about how we would encounter God in Detroit. Because we were after more than fun. We were after a life-altering, Spirit-filled encounter with Jesus. 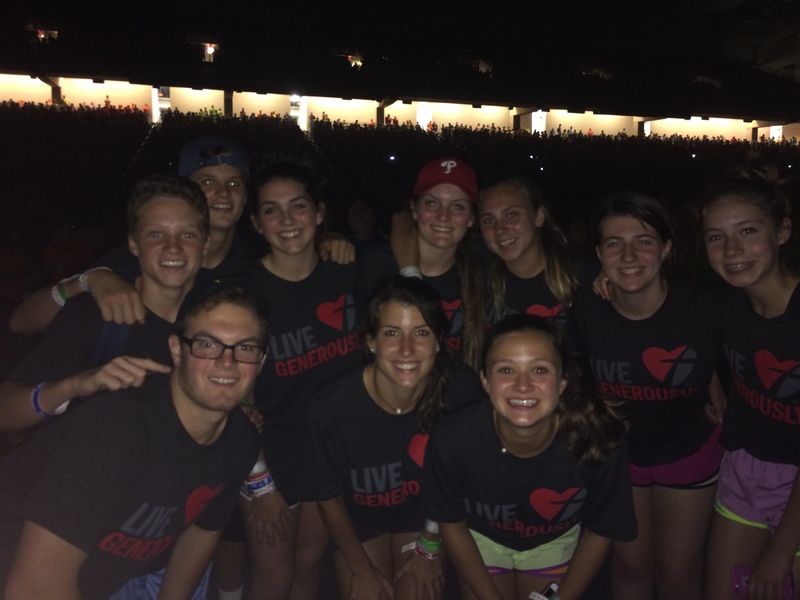 We were after engaging with other Lutheran youth and the people of Detroit, and seeing how God was active in their lives. We were after being challenged to find God’s call in our lives. We were after having our faith strengthened and confirmed. And we found those things and more. Our youth engaged their faith deeply on this trip. They asked insightful questions, gave thoughtful answers at our daily devotions. I watched them talk to Detroit residents, and take seriously what they were hearing. They couldn’t wait to do our service project, and refused to do less than their absolute best. I can’t wait to tell people—especially the people at St. Paul’s, who made it possible for us to go—about all o f these experiences and more. But what I really can’t wait for is for the youth to tell their stories to you. Because believe me, their perspectives are going to be much more interesting than mine. We’re going to find a way for them to share those perspectives with the whole church. But in the meantime, ask them! Ask them if they had fun, but ask them more, too. Ask them what their most meaningful experience was? Who was their favorite speaker? What surprised them about Detroit? Does the Gathering make them want to do anything new this year? Ask them. You won’t be disappointed. Last week on Jeopardy (one of my favorite shows), one of the categories was Bible MVPs. I love when they have Bible categories on Jeopardy, mostly because I get to feel smart. But I am usually impressed with how well the contestants do—in this case, they got three of the five questions right. Sometimes it doesn’t go quite that well, but some basic names and quotes from the Bible are typically considered to be important common knowledge. This is much less the case than it used to be. I took a course in college called “The Bible as Literature.” I was a religious studies major, but this course was offered by the English department. For me, it was an easy A, and knocked off a general education requirement. I had honestly been hoping for more in-depth analysis of biblical literature than I got, but for the English department this was an important introductory course so their majors would be able to see allusions and references in classical and modern literature to biblical themes. We mostly just read the Bible, straight-through, skipping things like Deuteronomy and Leviticus, and the professor pointed out things like the Tower of Babel, David and Goliath, the sacrifice of Isaac. Things that I thought were basic knowledge—hence my easy A. We did a little literary analysis of the psalms and the wisdom literature, but for the most part the course was designed to help an English major recognize The Grapes of Wrath as a story of exodus. The department started the course when they realized students weren’t picking up on these references the way they once had. They could no longer count on freshmen having at least a cursory knowledge of biblical themes and characters—something important to understanding and interpreting a lot of literature. I know that I was certainly a minority in the class. We might assume that this is attributable to the fact that fewer college students have been involved in church and therefore don’t know the Bible. While this is true, I also think that fewer people involved in church know the Bible the way they used to. I don’t know everything—I get the Jeopardy questions wrong from time to time—and I even spent four semesters on it in grad school! In fact, the Lutheran church came out several years ago and declared that one of the largest challenges facing the church is biblical illiteracy. There’s been a push, called “Opening the Book of Faith,” to get folks reading their Bibles and relearning the first language of the faith. Some of this is because we don’t tend to read a ton of the Bible on Sunday mornings. Just four passages (Old Testament, psalm, New Testament, Gospel), and often out of their narrative context. To really know it, we have to read more. On our own time, in Bible studies, or Sunday School. It helps, not just for Jeopardy, but for having a great repository of the faith. So, would you pass the Bible as Literature? Or the Jeopardy questions? If you’re looking for a good entry point, I recommend starting with Mark—it’s the shortest gospel, and an engaging story when read straight through.